You'll notice the beautiful coppery-amber color and the rich creamy head. Lift the glass to your mouth and enjoy the aroma of spicy orange blossoms. Taste, and the pleasant mellow flavor of caramel malt glides easily into a dry, hop finish... plus [it has] an elusive fruity-yeasty flavor which will have you tasting in circles. Thanks to modern technology and a new local website, gotbeer.com, you can find all the restaurants and bars that are pouring Rare Vos in the area. Some might argue that the patio at Dinosaur Bar-B-Que overlooking the Hudson is a nicer setting to enjoy a beer on a beautiful summer day. And they would have a point. But this locally made beer from Cooperstown is made in the Belgian style. I argue that Belgian-style beers were made to go with Belgian foods. Or perhaps Belgian style foods evolved to pair well with the local beer. Regardless of the chronology, this beer is a natural fit with hot crisp fries. 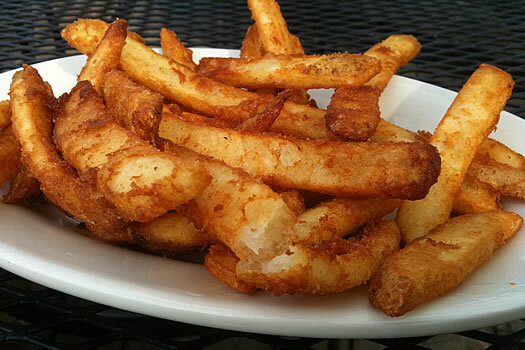 As it just so happens, fries are something Sutter's can do very well. In fact they have Brew City Fries that are advertised on the menu as "Beer battered dipped steak fries." But it's not a heavy batter as one might expect on an onion ring. Rather the batter produces a light crisp coating on the steak fry that makes it an improved condiment delivery device. If you were pretending to be Belgian, that condiment would be mayonnaise. Surely there are other great beer, food and venue pairings to be had around town. The new menu and beer garden at The City Beer Hall is promising. Additionally the picnic tables at Wolff's are an appropriate setting to wash down one or two of their wursts with a German beer. But there will be time to get to these places later. The time for Sutter's is now, when those shade trees can be put to good use, and you can enjoy your journey of the mind to Belgium in peace and tranquility. The hardest decision may be where to sit. After all, with the students gone, you may have the entire deck to yourself. Daniel B. is the proprietor of the Fussy Little Blog. Rare Vos just happens to be my favorite beer. Well done, by default! 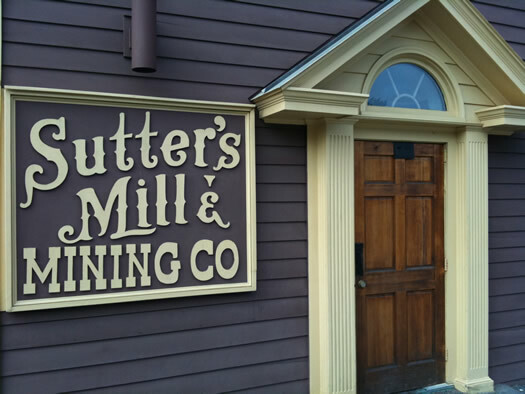 I have yet to try Sutters, even though I had a family friend working there a few years ago. I do plan on checking it out soon. Rare Vos is one of the better Ommegang brews, and on tap is even better! It seems like it's an ideal place, but whenever I go the service is terrible, the food is overpriced for what it is and I end up feeling run down the next day even after only one drink. I would stick to bottled beer there. However the deck is so nice, i still end up going sometimes! oh yeah and -- not to be a total complainer-- but the deck also smelled of rotting garbage with the dumpster right next to it... yuck! $8.49 for a plate of jalapeno poppers or a garden salad on the other hand is indeed as you say, "overpriced for what it is." But the scope of my recommendation in this case was verry narrow. I suffered no ill effects the following day, and despite the ridiculous eating in which I sometimes engage, I have a fairly delicate constitution. Speaking of delicate things, my nose is quite sensitive too. I don't doubt your bad experience with the festering trash, but I experienced nothing of the sort. Not even a whiff. Perhaps it has to do with the direction of the wind or how long it's been since the dumpster has been emptied. It's a bar and grill across the street from a University, and it caters to a largely college aged crowd. Sutter's is far from immaculate, and the bathrooms aren't pretty. 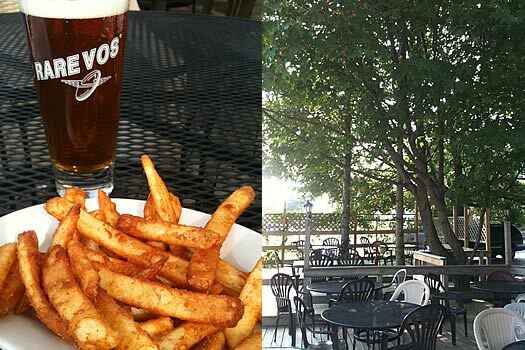 But the deck is great, and drinking a delicious Rare Vos outside in the shade, paired with their brew city fries makes for a rave worthy sensory experience that won't break the bank. Back when I was a UAlbany student, the burgers were divine, especially the Saratoga burger with its horseradish mayo. I would be interested in finding out if this is still the case when I'm sticking with one beer for my dinner. And who in their right mind can say no to Ommegang on tap? My favorite burger of all time resides at Sutters... white horse radish sauce and bacon....uummmmm. Yup, it's a popular place for the college crowd and I agree that wings or city fries on the deck is great after work or after we shoot 18. Having stopped in Sutter's periodically over many many years after sporting events at SUNY, IMHO their burger has dropped in quality drastically (I don't even order them anymore). From what was once juicy and flavorful to tasteless. I think what they cook up now is an industrially produced burger that had been frozen. Rare Vos is great! I have never encountered any garbage smell on the deck. I don't doubt that the right set of circumstances could produce the odor kw encountered, but I think it was just a rare occurance.